Santiago de Compostela is the ecclesiastical centre of Spain and has been a university city since the sixteenth century. 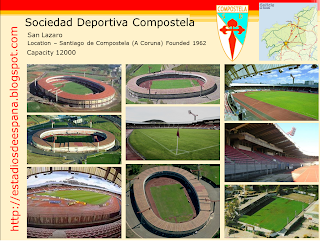 At the turn of the twentieth century it boasted a population of 25,000, so it is surprising that football never really took off in the city prior to the formation of SD Compostela. A couple of teams, namely Club Deportivo Santiago and Club Arenal, played in the Tercera in the 1940's & 50's, but achieved very little. 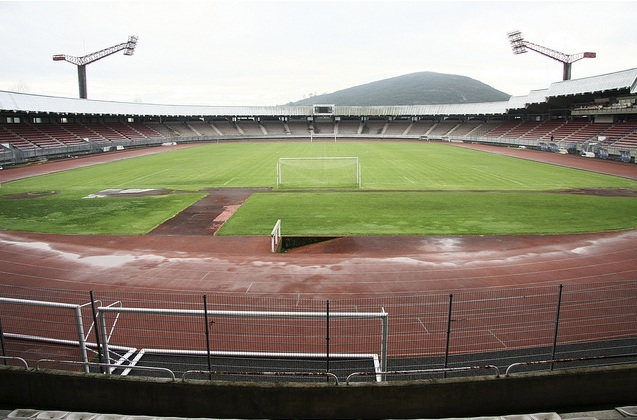 The demise of CD Santiago in the summer of 1962 left the city without a senior team in the national championships. 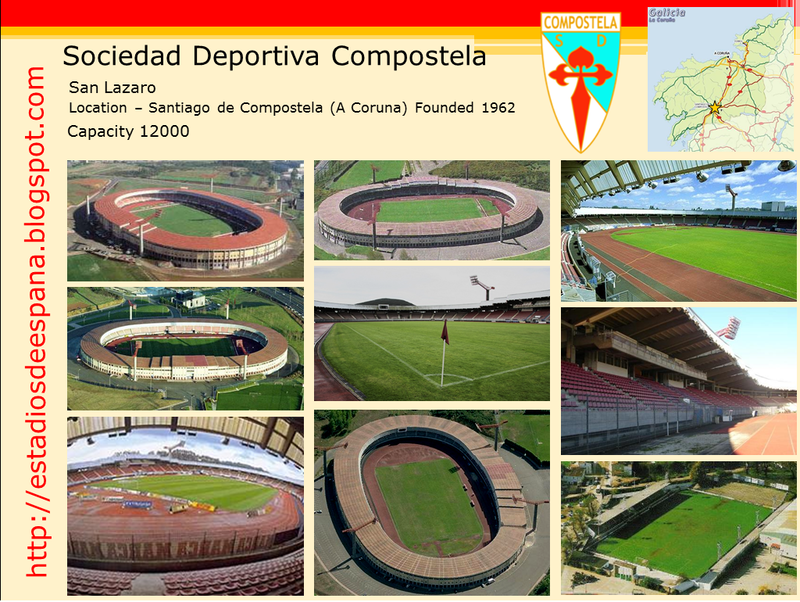 After much debate, SD Compostela was formed in June 1962 and in September merged with Club Arenal. Taking Arenal's place in the Primera Regional, the club won the league, playing its matches on a field owned by the city's university. In September 1963, SD Compostela moved to the Campo de Santa Isabel, which had been purchased by the municipality and renovated following the closure of CD Santiago. The club spent much of the 1960s and 1970s playing in the regional divisions and the Tercera. 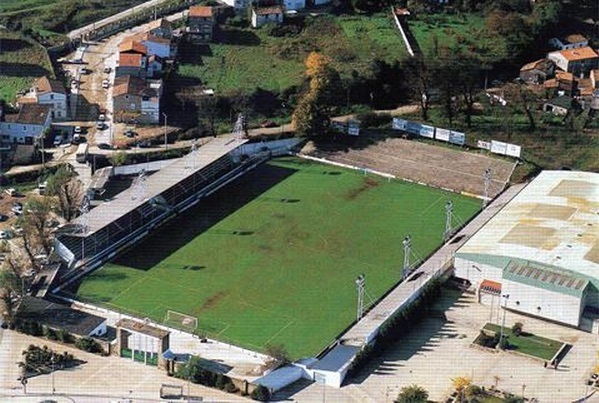 Its first promotion to Segunda B came in 1977, but the stay lasted just the one season. They regained their place in 1980 and whilst this time they hung around for six seasons, it ended in relegation and controversy. The club moved Estadio Multiusos de San Lazaro in the summer of 1993, which coincided with the continuing rise in the team’s fortunes and in 1993–94, following a 3–1 play-off victory against Rayo Vallecano, Compostela reached La Primera. 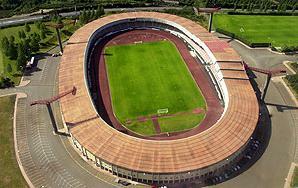 For a small regional club, Compostela did remarkably well and reached a best finish of 10th in 1995–96. After four seasons at the top, Compostela was relegated after losing a relegation play-off on to Villarreal CF. Club President José María Caneda, who had overseen the good times of promotion to the top flight and the move to the new stadium, was not the man for a crisis. His mismanagement led to three seasons of diminishing returns in La Segunda, which eventually saw Compostela relegated to Segunda B in 2001. They returned to La Segunda for the 2002-03 season, but this was played against a backdrop of off-field distractions. With the players and staff going unpaid for months, a final 9th place was not enough to prevent relegation, as Caneda failed to meet the 31 July deadline to settle all wage debts and were demoted by the Federation. The off-field problems continued in 2003–04, with the peak being a strike by the players. After not receiving a wage for several months, they refused to appear for a fixture at UB Conquense. 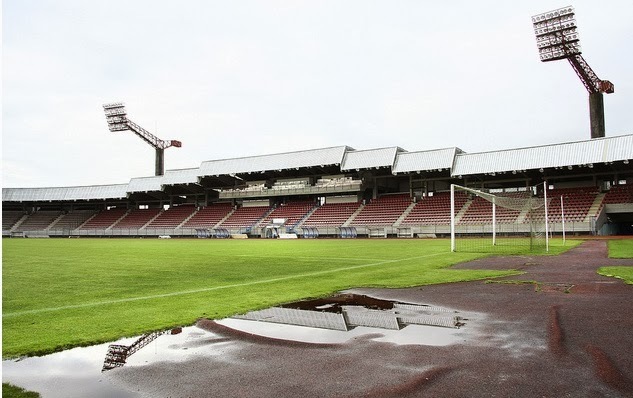 At the season's close, which saw on pitch relegation to the Tercera, Compostela dropped further to the Galician Regional Preferente (north) after failing again to meet another financial deadline. This led to the liquidation in the summer of 2006 of the original club, which in turn saw another club, SD Campus Stallae, move in to San Lazaro. 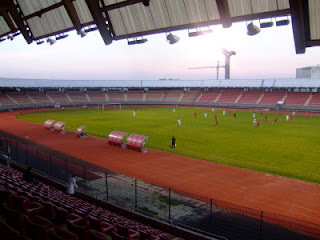 After four seasons of languishing in the regional league, the new team reached the Tercera for the 2008-09 season. In the following campaign, after finishing first in its group, they beat Atlético Monzón in the play-offs and won a second consecutive promotion. Now in Segunda B for the 2009-10 season, it was almost inevitable that this would be a short-lived return. Campus Stallae finished in last place and relegation was followed by the now ubiquitous demotion for more financial irregularities. After a couple of seasons in the Regional Preferente North (Level 5), the club regained its old name and Tercera status in the summer of 2012. This was followed a year later with a return to Segunda B. In recent years, a host of other teams have tried and failed to take on the mantle of the city’s top team, notably Ciudad de Santiago who won promotion to Segunda B in 2008-09. A creditable 13th place finish counted for nothing as, you guessed it; they were demoted for not paying the players. They struggled on until the December 2009, before being expelled by the league for failing to meet a fixture at Coruxo FC. With financial mismanagement that makes the UK banking system look competent, it comes as a relief to talk about the stadium. It’s also a pleasant change to talk about a stadium with an athletics track that actually works. 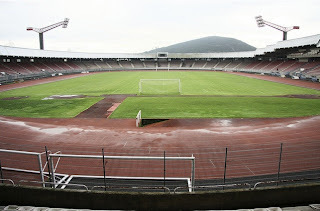 The Estadio Multiusos San Lazaro was opened on 24 June 1993 with a match between Deportivo La Coruna and Sao Paulo FC. Its distinctive terracotta tiled roof provides excellent cover from the elements, pretty essential in a Galician winter. It sweeps over a single tier of seats until it reaches the west side, where it slopes gently upwards to accommodate a second tier, which includes the directors box and media gantry. Also, get a load of the floodlights! 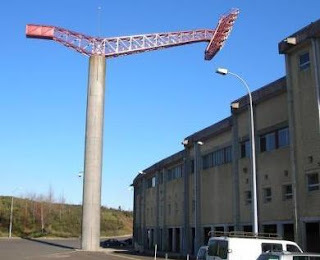 They resemble construction cranes as they lean over the roof and peer onto the pitch below. I’ve never seen the design repeated, not because it doesn’t work, but because there isn’t another stadium quite like San Lazaro. San Lazaro’s perennial problem however, is that over the years, too few of its 12,000 seats have been filled on match days. Is it apathy on the part of the population, or disenchantment with the management of the clubs that have represented the city? Either way, the fact remains that Santiago de Compostela seems as far away from having a top flight team today, as at any point in the past 50 years.